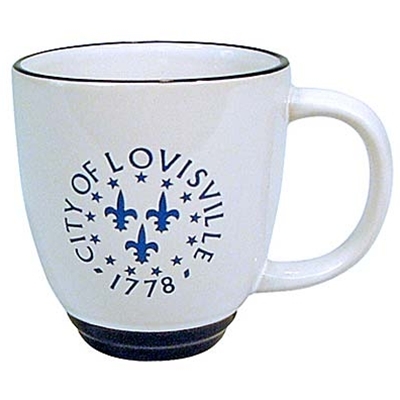 The City of Louisville’s last official seal is featured on this handsome china 12 oz. mug. The seal was used by the City from 1949 until 2003, when it was replaced by a new seal representing the merged Louisville-Jefferson County Metro government.